Features and Benefits:Sidestream® Reusable Nebulizer Provides maximum aerosol quality and respirable output for the delivery of most commonly prescribed medications. 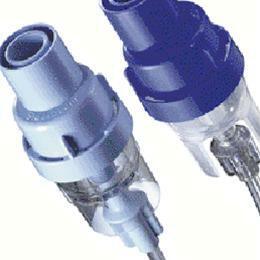 The unique Venturi design offers faster drug delivery and shorter treatment times. It can be used for 6 months before replacing.Sidestream® Disposable Nebulizer Offers fast, efficient and economical drug delivery. Provides consistent drug delivery time after time and can be used with all commonly prescribed respiratory medications. It can be used for 2 weeks before replacing.